Golf GTI fans: you can stop blubbing over the dearly departed Clubsport, as VW has kindly made a new one. Well, ish - it’s actually called the GTI TCR, but in a lot of ways, it bests its pre-facelift kinda/sorta predecessor. In terms of power, it’s certainly advantage TCR: while the Clubsport made 286bhp only for short periods via its ‘overboost’ function, the TCR will happily shove that figure to the front wheels - via a ‘VAQ’ locking differential - all the time. 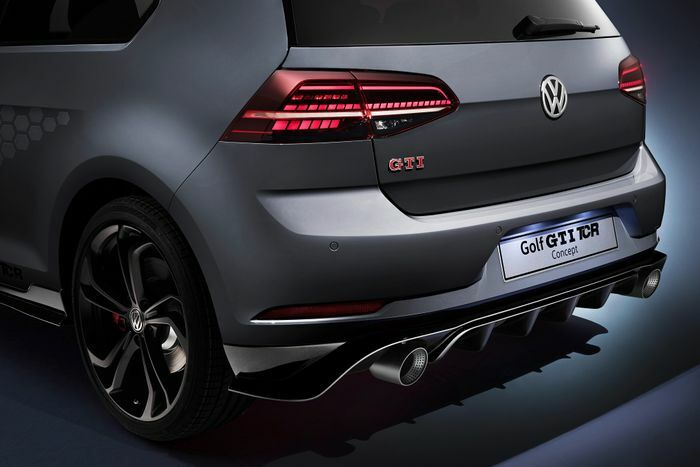 The thrust comes from the same ‘EA888’ 2.0-litre inline-four turbo as the standard GTI, only here, it’s - as it is in the R - packing two additional radiators. 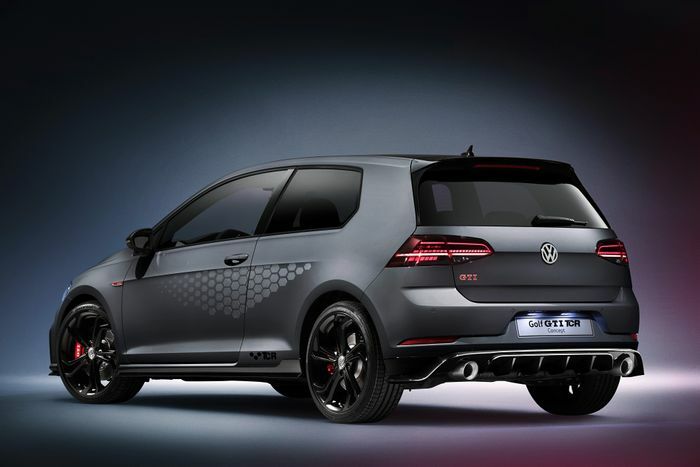 It’ll potentially be more vocal too, thanks to an optional Akrapovic titanium exhaust. But if you’re going to option only one thing, it definitely needs to be the as-yet unnamed package which adds 19-inch wheels, a 20mm lower suspension setup, adaptive dampers and an electronic speed-limiter delete. 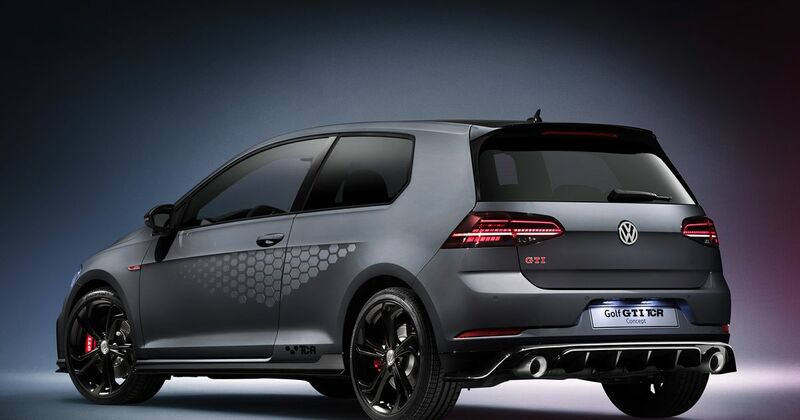 Do that, and this ultimate Mk7.5 GTI will keep going until it hits 164mph. It’s received an exterior nip and tuck via a new front bumper which has side intakes designed to aid airflow to those extra rads, plus a “sharply contoured” splitter. The side skirts and rear diffuser are new designs also. There’s a Pure Grey finish available exclusively for the TCR, or if you’d prefer, there will be a range of boggo GTI hues to choose from including Pure White and Tornado Red. The honeycomb pattern livery you see on the Worthersee show car is optional. The sports seats are - gasp - not finished in the usual ‘Clark Plaid’ tartan get-up. Instead, VW has opted for microfibre fabric with Flash Red stripes. Contrasting red stitching is found pretty much wherever you look in the cabin, and there’s a nice because racecar red stripe on the 12 o’clock mark of the steering wheel. All sounds particularly spiffy, no? There’s just one catch: the concept VW has whipped up to preview the car - which is pretty much production-ready - sends its 286bhp through to the front wheels via a DSG automatic gearbox. 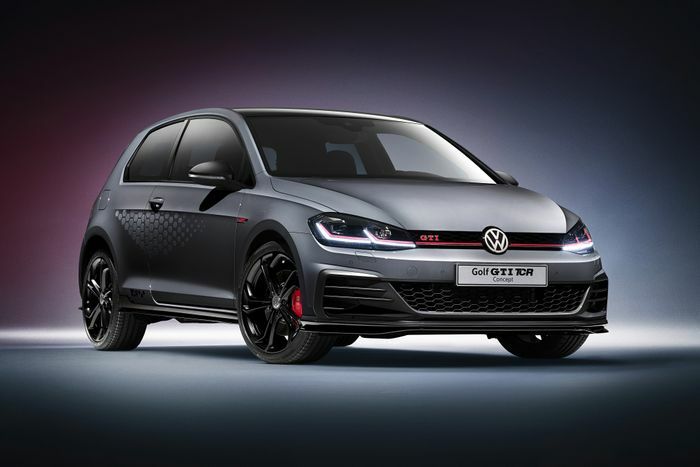 With VW saying that the DSG is present “as standard” rather than as an optional extra like it is normally, it’s looking like a six-speed manual won’t be available. A shame, but a DSG ‘box didn’t stop our old Clubsport longtermer from being thoroughly lovely. The gearbox situation will be confirmed when the car is launched later in 2018.